The Studio is is situated in the historic town of Raglan just a 10 minute drive from the village of Rockfield. Set up by Producer and Monnow Valley Studio Manager Tom Manning in 2014 to accommodate his projects, Monnow Valley Raglan offers clients a cosy, country retreat without compromising on recording quality. Here at Monnow Valley Raglan we pride ourselves on being one of the most cost effective ways to record. We are part of a completely independent studio group and our rates reflect this. Monnow Valley Raglan provides an inspirational natural environment in which to produce the best quality music. Accommodation via our portfolio of local holiday homes offer clients the perfect getaway. Raglan offers great amenities such as 3 pubs, a local shop, gentleman’s outfitters and an award winning butcher. 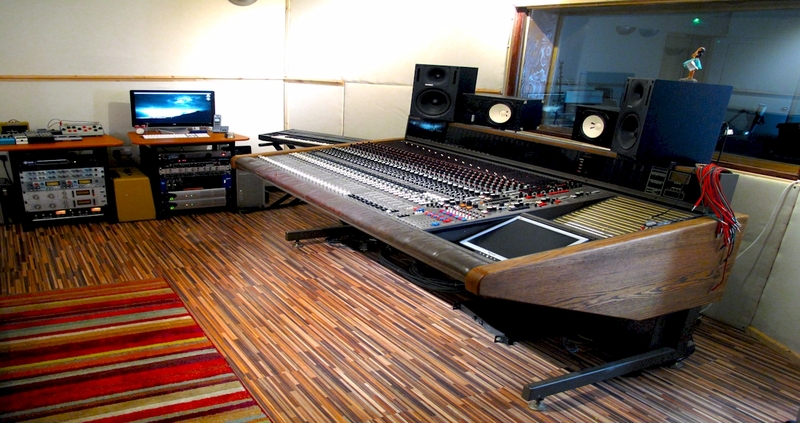 The studio is based around a 1978 MCI JH 536 that was installed in 2014 via a Chateau in Brittany. The desk acts as the nucleus for the studio offering a vintage recording ethos to the modern age. Various Synthesisers from a DX7 to CS20 and a mountain of pedals, guitars and percussion.